Our hospital houses a laboratory onsite providing the capability to perform Heartworm Blood Parasite Testing for both dogs and cats, Feline Leukemia and Immunodeficiency Virus Testing, Intestinal Parasite Screening, Cellular Microscopy and Cytology, Fungal Cultures, Urine Analysis and Bacterial Culture and Antibiotic Sensitivity Testing. 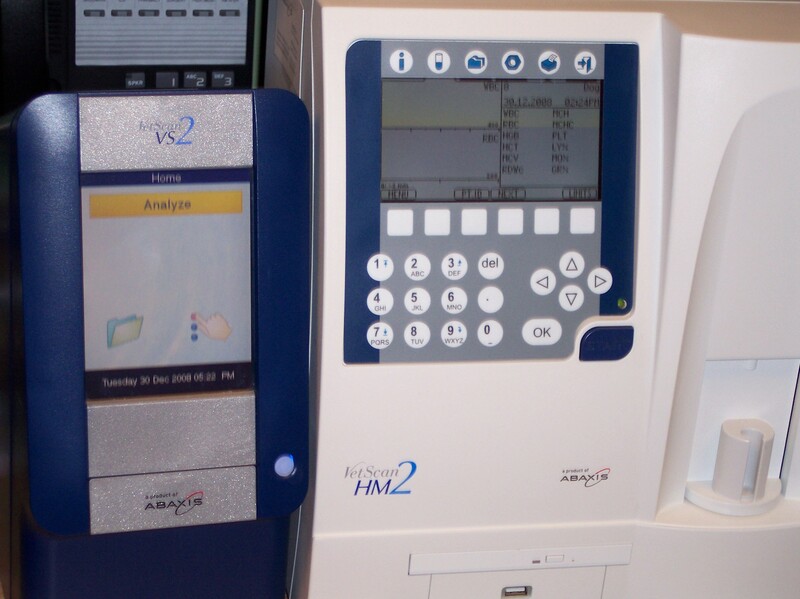 We have the VetScan 2 and Hematology 2 Abaxis equipment which allows on site blood profile testing including Complete Blood Counts (CBC), Blood Chemistry Analysis of internal organ function, Cholesterol and Thyroid Hormone evaluation. To augment our onsite capabilities, we contract with outside laboratories to provide access to more extensive testing including Tissue Biopsy Histopathology, Urinary Stone Analysis, Hormone Evaluation and many other cutting edge medical testing. 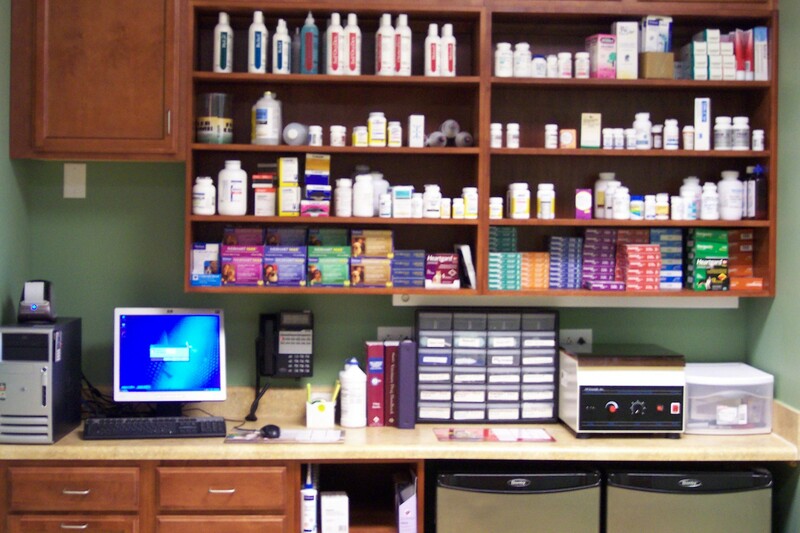 We also maintain an onsite pharmacy to establish access to animal use only veterinary drugs not available at neighborhood pharmacies as well as to provide our clients the convenience of obtaining their pet's prescriptions onsite during their visit here rather than waiting for them to be filled while at a pharmacy elsewhere. We carry multiple types of antibiotic, arthritis, pain relief, gastrointestinal and heart medications as well as specific eye, ear and skin treatments. Our pharmacy stocks common parasite preventatives, such as Heartworm, Flea and Tick Preventatives. Our product pricing on most preventatives is comparable to the most frequently shopped online pet pharmacy retailer, and in many cases we are less on a per dose basis.